Elegant vertical sliding sash windows suitable for both traditional and modern properties, available in a range of finishes for an authentic look. View photo gallery >Vertical sliders, otherwise known as sliding sash windows, are a staple of older properties but they can look equally as pleasing in more modern homes. 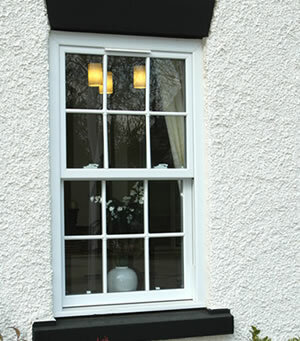 We offer timber, uPVC and aluminium sliding sash windows. Typically, original timber windows are single glazed, and whilst they might be authentic they’re not the best at insulating your home against the cold. Maintain the traditional appearance of your home and at the same time make it warmer by replacing old wooden windows with our double glazed ones. 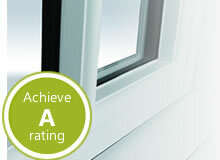 If you live in a conservation area where double glazing is not allowed take a look at our secondary glazing. It helps improve the energy efficiency of your home without having to change the original windows. For a low-maintenance alternative choose our aluminium and uPVC vertical sliders for a classic sash window look with a modern twist. uPVC and aluminium windows don’t require the same level of maintenance as timber does to keep it looking and performing its best, but if you’re looking for a truly authentic sash window style we recommend timber. Low-maintenance – No product is truly ‘maintenance-free’ but uPVC is close. It never needs painting or staining and can be cleaned simply using a warm, damp cloth. 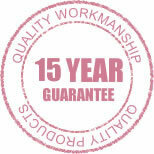 Thicker frames – uPVC isn’t as strong as aluminium or timber. Windows and doors made from this material need thicker frames to support the weight which impacts the overall appearance. Strength – Because it’s so strong, products made using aluminium feature slimmer frames than uPVC or timber, allowing more light to enter your home and offering a wider view to outside. Aluminium is seen as a ‘cold’ material and has previously had a bad reputation when it comes to thermal insulation. Whilst older aluminium systems aren’t very energy efficient, modern advances mean today’s equivalents can meet, and even exceed, the thermal efficiency of uPVC. Beautiful aesthetics – Nothing beats the traditional charm of timber, and no wooden window, door or conservatory is ever the same as the next, giving your home a completely unique style. Higher maintenance – Although the horror stories of timber rotting after a few years are false, timber products do require more maintenance than uPVC or aluminium. But the end result is definitely worth it.